Not to be confused with the Paris newspaper Libération. The Liberation of Paris (also known as the Battle for Paris and Belgium; French: Libération de Paris) was a military battle that took place during World War II from 19 August 1944 until the German garrison surrendered the French capital on 25 August 1944. 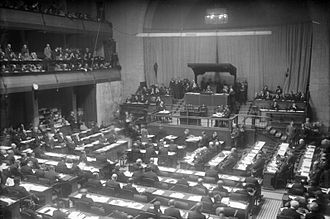 Paris had been ruled by Nazi Germany since the signing of the Second Compiègne Armistice on 22 June 1940, after which the Wehrmacht occupied northern and western France. The liberation began when the French Forces of the Interior—the military structure of the French Resistance—staged an uprising against the German garrison upon the approach of the US Third Army, led by General George Patton. On the night of 24 August, elements of General Philippe Leclerc's 2nd French Armored Division made their way into Paris and arrived at the Hôtel de Ville shortly before midnight. The next morning, 25 August, the bulk of the 2nd Armored Division and US 4th Infantry Division entered the city. Dietrich von Choltitz, commander of the German garrison and the military governor of Paris, surrendered to the French at the Hôtel Meurice, the newly established French headquarters. General Charles de Gaulle arrived to assume control of the city as head of the Provisional Government of the French Republic. It was a major turning point in controlling Nazi forces and leading the resistance into Germany. 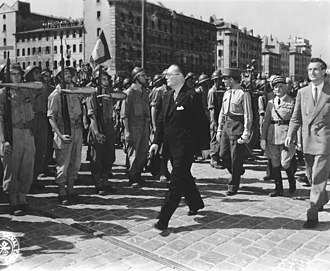 Although the Allied strategy emphasized destroying German forces retreating towards the Rhine, the French Forces of the Interior (the armed force of the French Resistance), led by Henri Rol-Tanguy, staged an uprising in Paris. 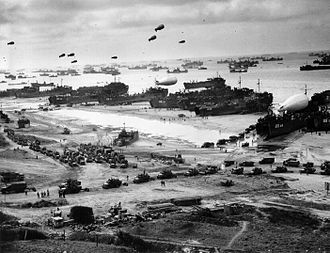 As the Falaise Pocket battle (12-21 August 1944), the final phase of Operation Overlord, was still going on, General Dwight D. Eisenhower, the Supreme Commander of the Supreme Headquarters Allied Expeditionary Force, was not considering the liberation of Paris to be a primary objective. 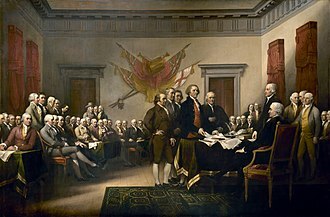 The goal of the U.S. and British Armed Forces was to destroy the German forces, and therefore end World War II in Europe, which would allow the Allies to concentrate all their efforts on the Pacific front. 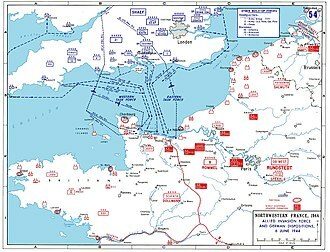 Thus, as the French Resistance began to raise against the Germans in Paris as of 15 August, not wanting to get the Allies involved in a battle for the liberation of Paris instead of pursuing the Germans rushing toward the Rhine, Eisenhower stated that it was too early for an assault on Paris. He was aware that Adolf Hitler had ordered the German military to completely destroy the city in the event of an Allied attack; Paris was considered to have too great a value, culturally and historically, to risk its destruction. Eisenhower was keen to avoid a drawn-out battle of attrition, such as the Battle of Stalingrad or the Siege of Leningrad. It was also estimated that, in the event of a siege, 4,000 short tons (3,600 t) of food per day, as well as significant amounts of building materials, manpower, and engineering skill, would be required to feed the population after the liberation of Paris. Basic utilities would have to be restored, and transportation systems rebuilt. All these supplies were needed in other areas of the war effort. 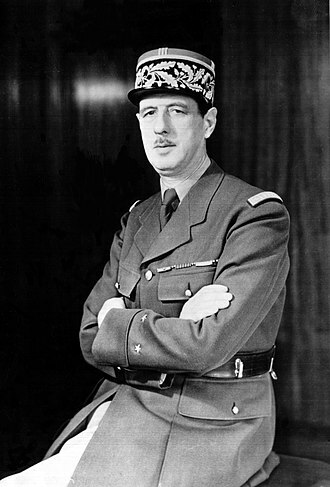 De Gaulle was concerned that military rule by Allied forces would be implemented in France with the implementation of the Allied Military Government for Occupied Territories. 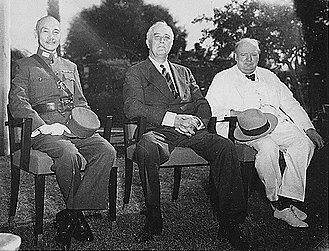 This administration which had been planned by the American Chiefs of Staff had been approved by US President Franklin Roosevelt but had been opposed by Eisenhower. Nevertheless General Charles de Gaulle of the French Army, upon seeing the French Resistance having risen up against the German occupiers, and unwilling to allow his countrymen to be slaughtered as was happening to the Polish Resistance in the Warsaw Uprising, petitioned for an immediate frontal assault. He threatened to detach the French 2nd Armored Division (2e DB) and order them to single-handedly attack Paris, bypassing the SHAEF chain of command; if Eisenhower delayed approval unduly. 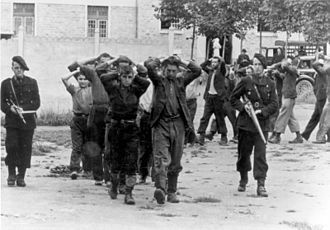 On 15 August, in the northeastern suburb of Pantin, 1,654 men (among them 168 captured Allied airmen), and 546 women, all political prisoners, were sent to the concentration camps of Buchenwald (men) and Ravensbrück (women), on what was to be the last convoy to Germany. 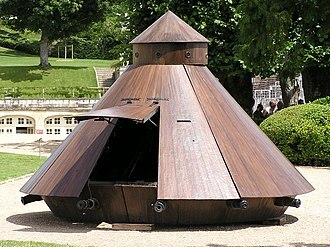 Pantin had been the area of Paris from which the Germans had entered the capital in June 1940. On 16 August, 35 young FFI members were betrayed by a certain Capitaine Serge, a double agent of the Gestapo. They had gone to a secret meeting near the Grande Cascade in the Bois de Boulogne and were gunned down there. 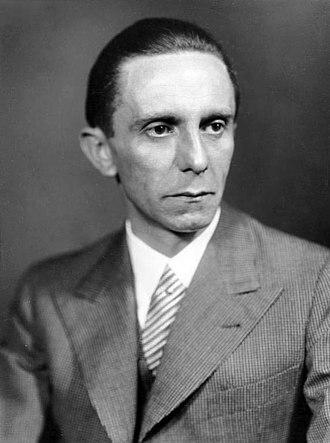 On 17 August, concerned that the Germans were placing explosives at strategic points around the city, Pierre Taittinger, the chairman of the municipal council, met Dietrich von Choltitz, the military governor of Paris. 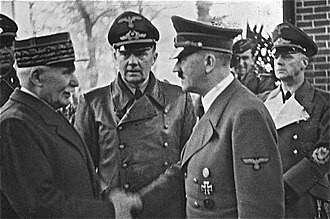 When Choltitz told them that he intended to slow the Allied advance as much as possible, Taittinger and Swedish consul Raoul Nordling attempted to persuade Choltitz not to destroy Paris. On 19 August, continuing their retreat eastwards, columns of German vehicles moved down the Champs Élysées. Posters calling citizens to arm had previously been pasted on walls by FFI members. These posters called for a general mobilization of the Parisians, arguing that "the war continues"; they called on the Parisian police, the Republican Guard, the Gendarmerie, the Garde Mobile, the Groupe mobile de réserve (the police units replacing the army), and patriotic Frenchmen ("all men from 18 to 50 able to carry a weapon") to join "the struggle against the invader". Other posters assured that "victory is near" and promised "chastisement for the traitors", i.e. 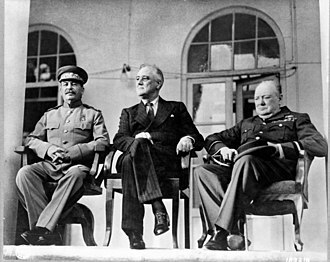 Vichy loyalists, and collaborators. 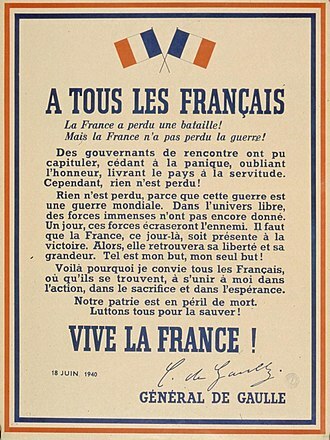 The posters were signed by the "Parisian Committee of the Liberation", in agreement with the Provisional Government of the French Republic, and under the orders of "Regional Chief Colonel Rol" (Henri Rol-Tanguy), the commander of the French Forces of the Interior in the Île de France region. Then, the first skirmishes between the French and the German occupiers began. During the fighting, small mobile units of the Red Cross moved into the city to assist the French and Germans who were wounded. That same day in Pantin, a barge filled with mines was detonated by the Germans and destroyed the Great Windmills supplying flour to Paris. On 20 August, as barricades began to appear, Resistance fighters organized themselves to sustain a siege. Trucks were positioned, trees cut down, and trenches were dug in the pavement to free paving stones for consolidating the barricades. These materials were transported by men, women, and children using wooden carts. Fuel trucks were attacked and captured. Civilian vehicles were commandeered, painted with camouflage, and marked with the FFI emblem. The Resistance used them to transport ammunition and orders from one barricade to another. Skirmishes reached their peak on 22 August, when some German units tried to leave their fortifications. At 09:00 on 23 August, under Choltitz' orders, the Germans opened fire on the Grand Palais, an FFI stronghold, and German tanks fired at the barricades in the streets. Adolf Hitler gave the order to inflict maximum damage on the city. It is estimated that between 800 and 1,000 Resistance fighters were killed during the Battle for Paris, and another 1,500 were wounded. On 24 August, delayed by combat and poor roads, Free French General Leclerc, commander of the 2nd French Armored Division, disobeyed his direct superior, American corps commander Major General Leonard T. Gerow, and sent a vanguard (the colonne Dronne) to Paris, with the message that the entire division would be there the following day. 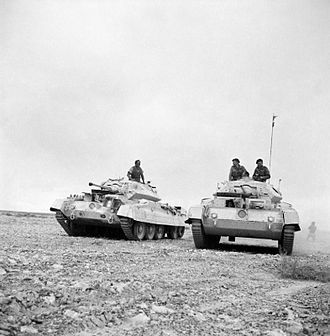 The 9th Armored Company ("La Nueve"), composed of Spanish soldiers, veterans of the Spanish Civil War, were equipped with American M4 Sherman tanks, halftracks and trucks. 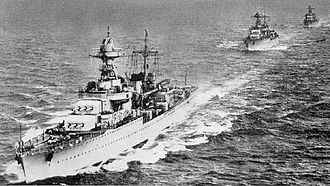 They were commanded by French Captain Raymond Dronne, who became the second uniformed Allied officer to enter Paris after Amado Granell. At 9:22 p.m. on the night of August 24, 1944, the 9th Company broke into the center of Paris by the Porte d'Italie. Upon entering the town hall square, the half-track "Ebro" fired the first rounds at a large group of German fusiliers and machine guns. Civilians went out to the street and sang "La Marseillaise". The leader of the 9th Company, Raymond Dronne, went to the command of the German general Dietrich von Choltitz to request the surrender. 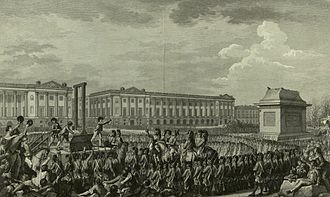 While awaiting the final capitulation, the 9th Company assaulted the Chamber of Deputies, the Hôtel Majestic and the Place de la Concorde. At 3:30 p.m. on August 25, the German garrison of Paris surrendered and the Allies received Von Choltilz as a prisoner, while other French units also entered the capital. 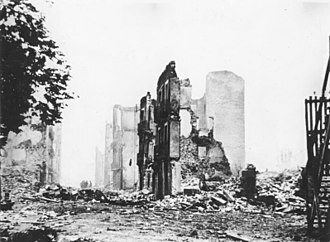 Despite repeated orders from Adolf Hitler that the French capital "must not fall into the enemy's hand except lying in complete debris", which was to be accomplished by bombing it and blowing up its bridges, Choltitz, as commander of the German garrison and military governor of Paris, surrendered on 25 August at the Hôtel Meurice. He was then driven to the Paris Police Prefecture where he signed the official surrender, then to the Gare Montparnasse, Montparnasse train station, where General Leclerc had established his command post, to sign the surrender of the German troops in Paris. Choltitz was kept prisoner until April 1947. In his memoir Brennt Paris? ("Is Paris Burning? "), first published in 1950, Choltitz describes himself as the saviour of Paris. German soldiers at the Hôtel Majestic, headquarters for the Militärbefehlshaber in Frankreich, the German High Military Command in France. They requested that they be made prisoner only by the military and surrendered to Battalion Chief Jacques Massu of the 2e DB. Since the enemy which held Paris has capitulated into our hands, France returns to Paris, to her home. She returns bloody, but quite resolute. She returns there enlightened by the immense lesson, but more certain than ever of her duties and of her rights. As allied troops enter Paris on August 26, celebrating crowds on place De La Concorde scatter for cover from small bands of remaining German snipers. 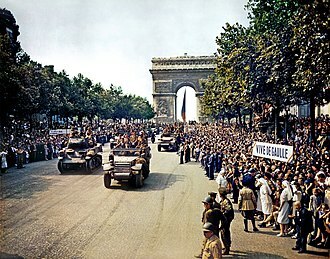 The U.S. 28th Infantry Division on the Champs Élysées in the "Victory Day" parade on 29 August 1944. 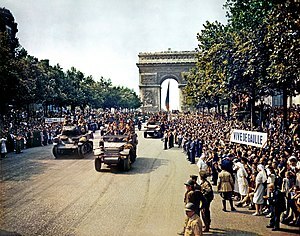 On 29 August, the U.S. Army's 28th Infantry Division, which had assembled in the Bois de Boulogne the previous night, paraded 24-abreast up the Avenue Hoche to the Arc de Triomphe, then down the Champs Élysées. Joyous crowds greeted the Americans as the entire division, men and vehicles, marched through Paris "on its way to assigned attack positions northeast of the French capital." 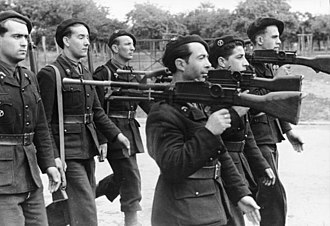 On 28 August, the FFI, called "the combatants without uniform", were incorporated into the New French Army (nouvelle armée française). 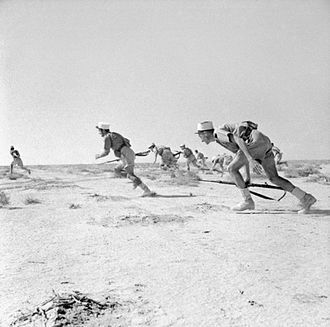 The New French Army was fully equipped with U.S. equipment, such as uniforms, helmets, weapons and vehicles, and they continued to be used until after the Algerian War in the 1960s. Although Paris was liberated, there was still heavy fighting elsewhere in France. Large portions of the country were still occupied after the successful Operation Dragoon in southern France, which extended into the south-western region of the Vosges Mountains from 15 August to 14 September 1944. Fighting went on in Alsace and Lorraine in eastern France during the last months of 1944 until the early months of 1945. 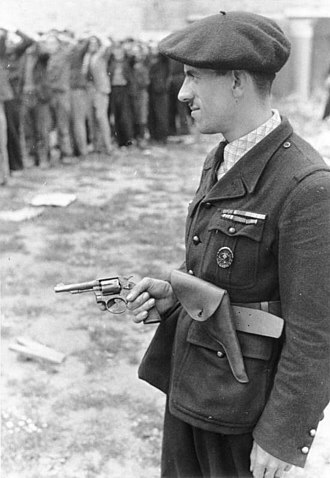 Spanish republican exiles from the Spanish Civil War took part in the liberation as part of the French 2nd Armoured Division. The 9th Company of the Régiment de marche du Tchad which was nicknamed La Nueve (Spanish for "the nine") consisted of 160 men under French command, 146 of which were Spanish republicans. O 24 August 2004, the City of Paris led by Mayor Bertrand Delanoë paid homage to their participation. In the presence of Javier Rojo, President of the Senate of Spain, and a delegation of Spanish politicians, a plaque was placed on a wall along the River Seine at the Quai Henri IV. They later paid tribute to the surviving Spanish veterans of the liberation. This was the first time in 60 years that the French government and the municipality of Paris paid homage to the Spanish soldiers for the liberation of Paris. 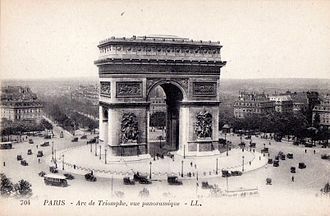 Three-cent stamp picturing the Arc de Triomphe in Paris, with marching U.S. Army soldiers and an overflight by U.S. Army Air Force. The Liberation of Paris is depicted in the 1999 and 2017 video games Medal of Honor: Underground & Call of Duty: WWII as part of the games' campaign mode. Wikimedia Commons has media related to Liberation of Paris. ^ a b "Libération de Paris [Liberation of Paris]" Archived 19 March 2009 at the Wayback Machine (in French). (PDF format). ^ "Libération de Paris forces américaines" (in French). ^ "Les Cahiers Multimédias: Il y a 60 ans : la Libération de Paris" Archived 14 October 2007 at the Wayback Machine (in French). Gérard Conreur/Mémorial du Maréchal Leclerc et de la Libération de Paris. Radio France. 6 July 2004. ^ Charles L. Robertson, "When Roosevelt Planned to Govern France"
^ "Archived copy" (PDF). Archived from the original (PDF) on 9 November 2010. Retrieved 7 July 2007. CS1 maint: Archived copy as title (link) (PDF format). Pantin official website. ^ a b  (PDF format). Pantin official website. 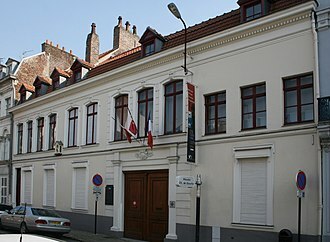 ^ "Allocution du Président de la République lors de la cérémonie d’hommage aux martyrs du Bois de Boulogne" (in French), President Nicolas Sarkozy, French Presidency official website, 16 May 2007. ^ Taittinger, Pierre (1946). ... et Paris ne fut pas détruit (... And Paris Was Not Destroyed) (in French). 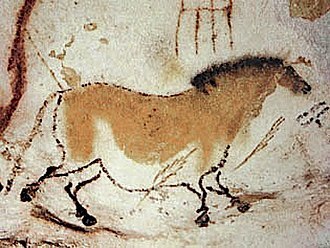 L'Élan. ^ Wird Paris vernichtet? (Will Paris Be Destroyed?) Archived 29 September 2007 at the Wayback Machine (in German), a documentary by Michael Busse and Maria-Rosa Bobbi, Arte/WDR/France 3/TSR. August 2004. ^ Thorton, Willis (1962). The Liberation of Paris – Google Books. Harcourt, Brace & World (via Google Books). Retrieved 30 August 2011. ^ Rosbottom, Ronald C. "Who Liberated Paris in August 1944?". The Daily Beast. ^ Mordal, Jacques (1964). La Bataille de France 1944–1945, Arthaud. ^ "... Brennt Paris?". Amazon.de. Retrieved 25 August 2008. 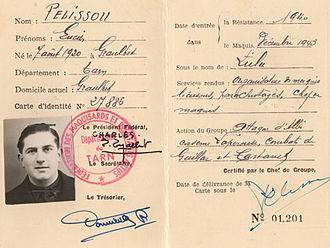 ^ "'Libération' porte parole des gauchistes" (in French). INA archives. Retrieved 25 August 2008. ^ Stanton, Shelby L. (Captain U.S. Army, Retired), World War II Order of Battle, The encyclopedic reference to all U.S. Army ground force units from battalion through division, 1939–1945, Galahad Books, New York, 1991, p. 105. ISBN 0-88365-775-9. ^ a b 1944–1946 : La Libération Archived 15 June 2007 at the Wayback Machine (in French). Charles de Gaulle foundation official website. ^ Gaspar, Celaya, Diego (15 December 2011). "Portrait d'oubliés. L'engagement des Espagnols dans les Forces françaises libres, 1940-1945". 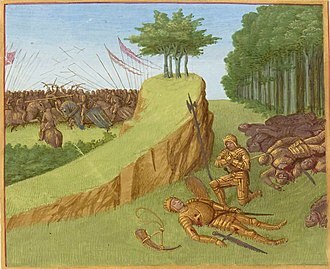 Revue historique des armées (in French) (265). ISSN 0035-3299. 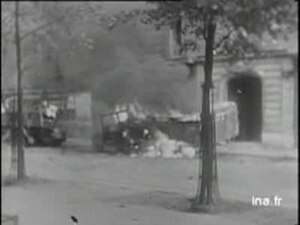 ^ "60ème Anniversaire de la Libération - La Libération de Paris - Sénat". ^ "La prise du Sénat - La Libération de Paris". ^ "Bal de célébration des 70 ans de la libération de Paris sur le Parvis de l'Hôtel de Ville". ^ President Nicolas Sarkozy's speech (English). [dead link] French Presidency official website, 16 May 2007. ^ Max Gallo's ceremony (video),[dead link] French Presidency official website, 16 May 2007. ^ "Ponts et batailles de la seconde guerre mondiale" (in French). Retrieved 5 April 2015. 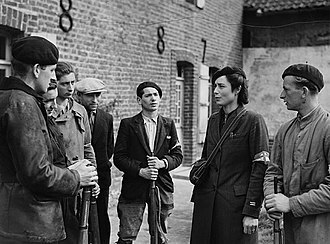 ^ The Milice was a Vichy division that fought in the liberation of Paris. The Maquis du Vercors was a rural group of the French Forces of the Interior resistance that fought the 1940–1944 German occupation of France in World War II. 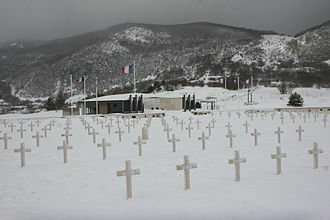 The Maquis du Vercors used the prominent scenic plateau known as the Massif du Vercors as a refuge, many members of the maquis, known as maquisards, died fighting in 1944 in the Vercors Plateau. 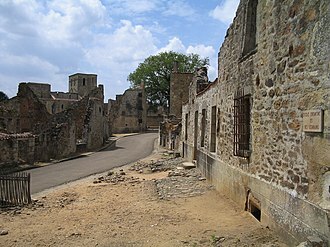 From 16 to 24 April 1944 the Milice attacked the village of Vassieux, burning several farms, the local population continued to support the Resistance movement. In his BBC speech, de Gaulle pronounced the famous line le chamois des Alpes bondit which signalled the 4,000 maquisards to begin the uprising. 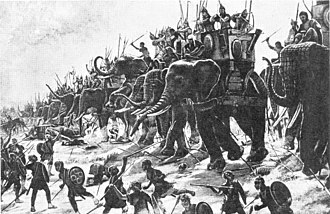 The Maquis returned to the traditional style of petite guerre, engaging in harassment. Reserve-Division of the Wehrmacht,4 reserve mountain light infantry battalions,2 reserve infantry battalions,2 reserve artillery batteries, other units, Kampfgruppe « Zabel »,3 Ost-Bataillonen, about 200 Feldgendarmen,1 security battalion,1 police battalion, about 400 paratroopers. According to Peter Lieb, two crashed and eight of them landed a bit further on, so the first wave of assault consisted only of about a hundred soldiers. Peter Lieb spécifies that the Kommandeur der Sipo-SD of Lyon, SS-Obersturmbannführer Werner Knab, was airborne on Vassieux on 21 July. Shot and wounded, he was evacuated in a Fieseler Fi 156 Storch on 24 July and he would have played an important part in the torture and the slaughter of the Maquisards of Vercors and the inhabitants of Vassieux. 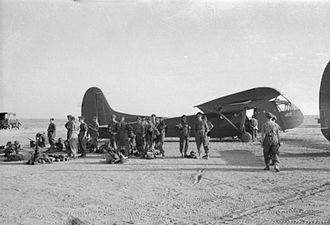 On 23 July 1944,3 Go-242 gliders, towed by bombers Heinkel-111, and 20 DFS-230 gliders transported one Ost-Kompanie and Ketley wrote that the Fallschirm-Kampfgruppe « Schäfer » was detached from Kampfgeschwader 200 on 8 June 1944. It was made up of volunteers out of Fallschirmjäger-Bewährungstruppe, mustered at Tangerhütte, günther Gellermann says that the Fallschirm-Kampfgruppe « Schäfer » was under Luftflotte 3 command and no longer under Kampfgeschwader 200 command. This followed the declaration of freedom from the German occupation in some towns, on 3 July 1944 the Free Republic of Vercors was proclaimed, the first democratic territory in France since the beginning of the German occupation in 1940. The Free Republic had its own flag, i. e. the French Republic tricolour featuring the Cross of Lorraine and the V for Vercors and Victory, and its coat of arms and it was a short-lived regime, it ceased to exist before the end of the month. Maquisards appealed to Free French agencies based in London and Algiers to supply them with arms and heavier weaponry to counter the German action. We shall not forget the bitterness of having been abandoned alone and without support in time of battle, the battle and the maquisards of Vercors prominently feature in Frank Yerbys 1974 novel The Voyage Unplanned. French director Jean-Paul Le Chanoi made Au Coeur de lOrage, a documentary about the French Resistance during the Second World War, the movie, composed of Allied clandestine film recordings and German newsreel, focuses on the battle of the Vercors Plateau during July 1944. Four young Europeans meet with historians and witnesses of our past… They investigate the events of the Second World War in Germany, in France and in Russia. Dietrich Hugo Hermann von Choltitz was a German general officer who served in the Royal Saxon Army during World War I and the German Army during World War II. He is chiefly remembered for his role as the last commander of Nazi-occupied Paris in 1944, when he disobeyed Hitlers orders to level the city and he was hailed in many contemporary accounts as the Saviour of Paris for not allowing it to be destroyed. Infanterie-Regiment Prinz Johann Georg Nr.107 of the Royal Saxon Army as a Fähnrich just months before the First World War broke out. His unit served on the Western Front, where he was promoted to Leutnant and he remained in the Reichswehr during the Weimar Republic, becoming a cavalry captain in 1929. Promoted to Major in 1937, he was commander of third battalion, Infanterie-Regiment 16 Oldenburg. In 1938 he was promoted again, this time to Oberstleutnant and his action during this daring assault on Rotterdam earned him the Knights Cross of the Iron Cross. 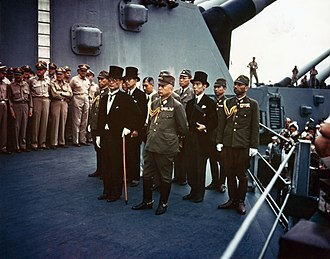 In September of the year, he was given command of the whole regiment. At the start of Operation Barbarossa, Choltitzs regiment was based in Romania, as part of Erich von Mansteins 11th Army, the regiment fought in the siege of Sevastopol. The siege was bloody for his regiment, which was reduced from 4,800 men to just 349, promoted to Generalmajor soon after, he was made acting commander of 260th Infantry division in 1942. He was promoted to Generalleutnant the following year and given command of 11th Panzer Division, in March 1944, Choltitz was transferred to the Italian theatre of operations, where he was made deputy commander of LXXVI Panzer Corps and participated in the Battle of Anzio. Transferred to the Western Front in June 1944, he took command of LXXXIV Army Corps, on 1 August 1944, Choltitz was promoted to General der Infanterie, and on 7 August was appointed military governor of Paris. At a meeting in Germany the following day, Hitler instructed him to be prepared to leave no Parisian religious building or historical monument standing. After Choltitzs arrival in Paris on 9 August, Hitler confirmed the order by cable, a popular account holds that Hitler telephoned Choltitz a week at his headquarters in the Hôtel Meurice, in a rage, Brennt Paris. 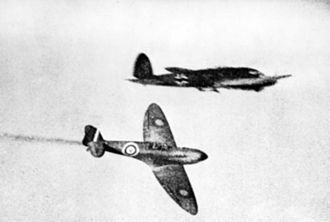 The invasion of Elba, codenamed Operation Brassard, was part of the Italian campaign during the Second World War. The invasion was carried out by Free French Forces supported by British and American ships and it came as a complete surprise to the German garrison although it had been reinforced for just such a possibility. 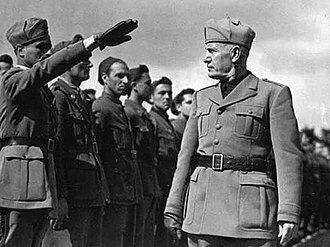 The defenders resisted for two days before being given permission to withdraw to the mainland, the Allied 15th Army Group—under the command of General Sir Harold Alexander—captured Rome on 4 June 1944 and forced the German 14th and 10th Armies to withdraw into Northern Italy. This success was followed by orders for the invasion of southern France, the 15th Army Group were asked to supply the majority of the troops for the landings. 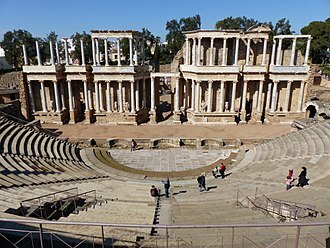 This reduced the U. S. 5th Army to five divisions, the whole of the 15th Army Group now only consisted of 18 divisions, and the reduction in strength put on hold any plans Alexander had of reaching the Gothic Line by August 1944. 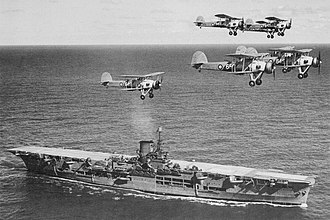 One operation they could carry out was the invasion of Elba. 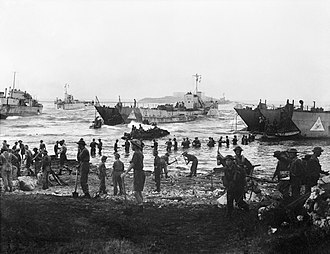 The landings had been postponed because of the shortage of support aircraft, the objectives of the invasion were to prevent the Germans using the island as a forward outpost and to provide a gun position for Allied artillery to interdict traffic on the Piombino canal. It is not known if the Germans were aware of the Allied plans, on 12 June, the German commander in Italy—Field Marshal Albert Kesselring—was informed that Elba must be defended to the last man and the last cartridge. On 14 June, German reinforcements started to arrive on Elba from Pianosa, the decision to reinforce Elba was not known to the Allies who believed the naval activity between the island and the mainland was in fact an evacuation. 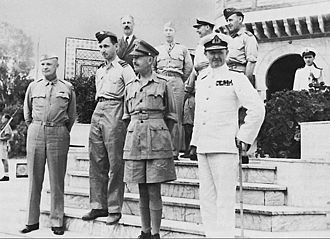 The naval commander for the operation was Rear-Admiral Thomas Hope Troubridge of the Royal Navy and he was in command of Force N, which would be responsible for landing the assault division. 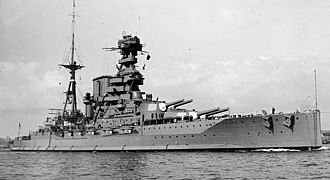 Because of the shallow waters large naval and transport ships could not be used, the only naval gunfire support would be provided by Landing Craft Hedgehogs and the Insect-class gunboats HMS Aphis and Cockchafer. The route over Col de Tourniol.